Within 2 hours drive of Panama City, there are some very picturesque mountain communities, with great year round climate and usually minutes from the beach. When most people think of the Americas, they think north to South. Panama’s unique geographical position is such that the country and its mountain range run west to east. The western border neighbors with Costa Rica and the eastern with Columbia. Over the last 6 years there have been lots of articles and write ups about Panama being one of the best places to retire, they’re generally referring to one of Panama’s picturesque mountain communities. 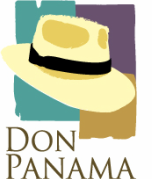 Within the showing radius of Don Panama, there are several mountain communities with attractive property opportunities. Just east of Panama City is the mountain community of Cerro Azul. West of Panama City, there’s Chica, Sora and El Valle de Anton. If you’d like to read more about mountain communities in Panama, check out Panama Mountain Communities.